which means it’s time to get outside and enjoy the sunshine! And what better way to celebrate the arrival of blooming flowers, budding trees and warm weather than having some friends over for a garden party? The best part is, you can go minimal on the décor and light on the refreshments, and everyone will still have a marvelous time! 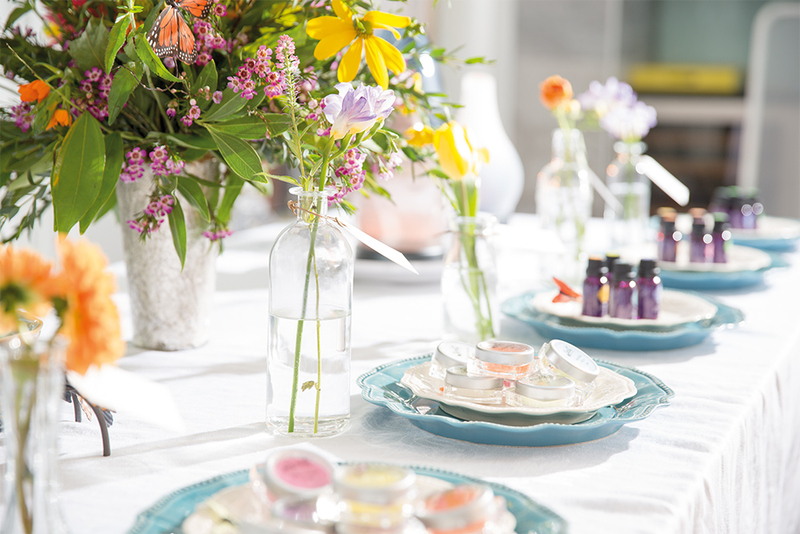 Here are some ideas for having a simple and sweet spring celebration! No matter what activities you choose for your garden party, everyone will have a great time when you get together in the great outdoors. Don’t be afraid to get your hands dirty! Have a gardening glove exchange. Pick a few pairs with a pretty print to swap with friends. Decorate your own flower pot! Terra cotta pots are inexpensive, and kids and adults alike will have fun gabbing as they fashion their own pots. Use acrylic craft paint, brushes, sponges, stencils, glitter – whatever! – to make it your own. Do a seed swap. 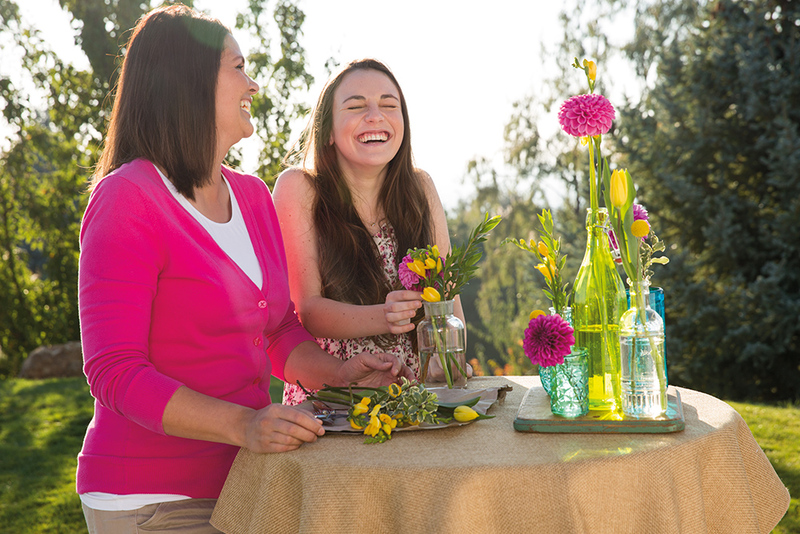 Swap seeds with friends so everyone has a bounty of blooms! Since seeds are so tiny, fill some paper cups or egg cartons with dirt, and let everyone plant the seeds they choose. From tender spring greens to the season’s first berries, serving light, fresh food is sure to please! Freeze edible small flowers or petals in ice cubes and serve them with sparkling water, iced tea or lemonade. 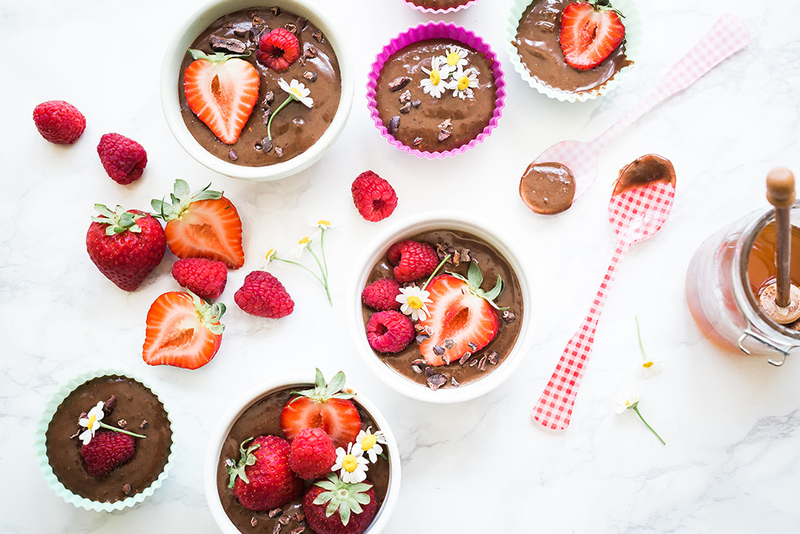 Create a “dirt” dessert that’s sweet to eat by filling parfait glasses with chocolate pudding and topping them with chocolate cookie crumbs! Use flower-shaped cookie cutters to add a floral flair to sliced cheese. Take advantage of nature’s bounty to make your party pop. Add enchanting ambience by hanging twinkle lights from the trees. Cut some flowers from your garden (think tulips, daffodils or even a branch of blooms from a flowering tree) and put them in vases. Set out a pretty Scentsy Warmer, like Butterfly Atrium or Little Garden, and warm a springy fragrance, like Blue Hyacinth or Darling Dahlia. Or contact your Scentsy Consultant and have a Make a Scene party! Everyone can pre-order their own Make a Scene Warmer, then fill their own little world with rocks, gravel, faux flora and more. Don’t have a Scentsy Consultant? Find one here. Separator image Posted in DIY, Inspiration.